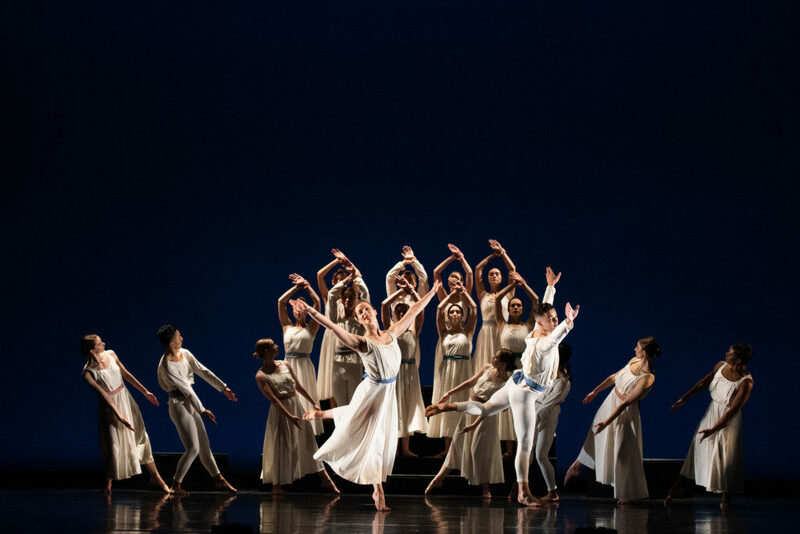 Repertory Dance Theatre’s (RDT) Voices concert capped an unforgettable expression of diversity and inclusion for its 53rd season. However, before delving into the specifics of the rich, subtly emotional dynamics of the Voices performances, a broader context is essential. Repertory Dance Theatre, 2019. Photo Credit: Sharon Kain. The theme of Manifest Diversity came full circle with Voices. In the season’s first concert last fall (Spirit), the company anchored the theme in opposing ends of the emotional spectrum with works that spanned a century. There were the elegant miniature works of Michio Itō from the early 1900s, the Japanese-born choreographer who experienced first hand the injustices many immigrants have suffered. On that same program, the world premiere works of Natosha Washington (Say Their Names) and Tiffany Rea-Fisher (Her Joy) touched on contemporary issues and problems: the law enforcement brutalities of “stand-your-ground” laws and the celebration and respect for women’s body rights, respectively, in adept representations through their distinct dance movement language. 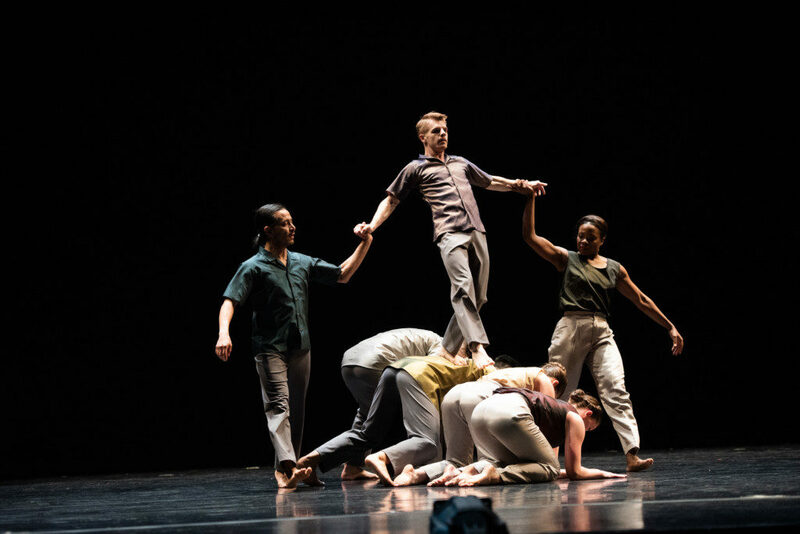 Meanwhile, RDT’s male dancers and guest artists connected Donald McKayle’s Rainbow ‘Round My Shoulder from 60 years ago — a fully realized narrative of a Southern chain gang – to the concert’s thematic imperative of dance’s timeless capacity to impart socially relevant messages. Doris Humphrey, Passacaglia and Fugue in C Minor. Repertory Dance Theatre, 2019. Photo Credit: Sharon Kain. Then, Mosaic highlighted the opulent dance culture in Salt Lake City with performances from seven local dance groups representing different cultural traditions around the world. Regardless of their origin, the performances emphasized dance’s universal capacities for communicating and connecting as humans. 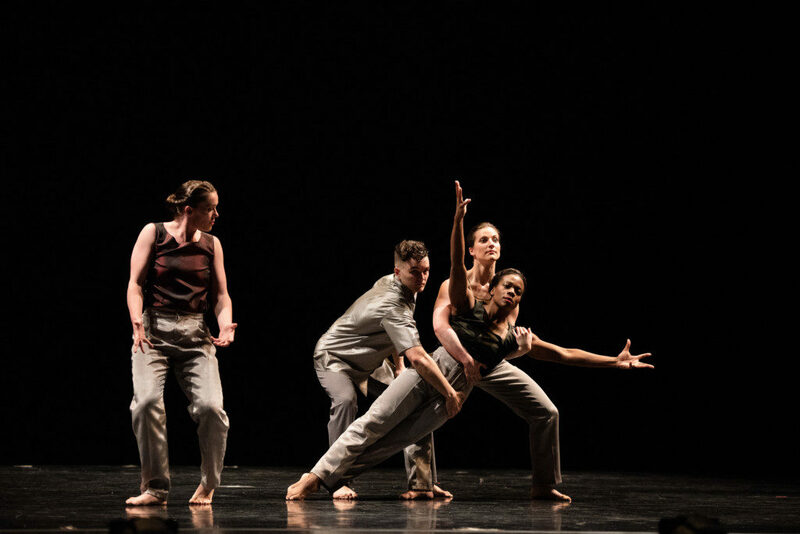 Likewise, in early January, Emerge featured new works created by the company’s dancers, once again highlighting a major requirement in the unique mission RDT undertook when it was created in 1966 with the unprecedented Rockefeller Foundation grant. Voices brought the creative journey of Manifest Diversity back home to the company’s ensemble of eight dancers. It was a complex program: two world premieres, a historic 1938 work, a restaged piece the company presented first in 2016 and a new piece created for 13 dance teachers in the SLC metro area. Voices produced tremendous, emotionally satisfying performances – quite an achievement for a company consistently hitting an impressive apex in recent seasons. In particular, three works – the world premieres by choreographers Bebe Miller (Event) and Bryn Cohn (I Give Myself) and the restaged work by Danielle Agami (Theatre) – left the audience with a rare, full, intimate, revealing, impassioned portrait of eight exceptional RDT dancers. It is a company’s heart beating as one. From 1938, Doris Humphrey’s Passacaglia and Fugue in C Minor, based on the famous J. S. Bach organ composition of the same name, opened the concert as the thematic anchor. Restaged by Nina Watt and Jennifer Scanlon, the work stirred the eyes, mind and soul. Inspired by utopian sensibilities and the belief in humanity’s collective efforts for betterment, Humphrey captured in movement how, as previously mentioned in The Utah Review, distinct manifestations of individual diversity never are subsumed or overwhelmed, even in the glorious unifying climax of Humphrey’s choreography and Bach’s music. 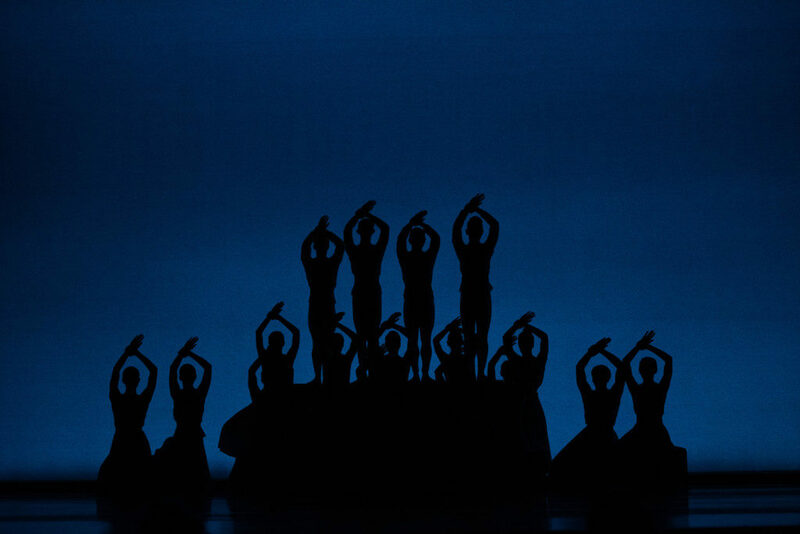 From the opening scene where the dancers, comprising RDT’s company augmented by performers from Utah Valley University’s dance program, are assembled on symmetrically arranged boxes in silhouette to the magnificent closing image of the entire ensemble reaffirming the power of collective force, the work enraptured the viewer. The ‘leaders’ – performed with sincere, respectful conviction by Lauren Curley and Dan Higgins – take the movement themes from the group and return them as variations to the members and join their peers again as they repeat the motifs. Among the most prominent examples are the bell turns in the passacaglia section and the arabesque on bended knee in the fugue. But, even as ‘leaders’ emerge from the group, they concede graciously to a collective that welcomes and encourages other individuals to emerge. This is veritable artistic democracy. Bebe Miller, Event. Repertory Dance Theatre, 2019. Photo Credit: Sharon Kain. In the first world premiere of the evening, Event, Miller builds on her own concept of leaders and accompanying dancers. She creates a gratifying choreographic narrative with text by Ain Gordon, as narrated by Miller, and a fantastically diverse sound and musical score by Michael Vargas. As the first of three concert pieces focusing exclusively on the RDT dancers (Jaclyn Brown, Lauren Curley, Daniel Do, Efren Corado, Dan Higgins, Elle Johansen, Tyler Orcutt and Ursula Perry), Event subtly strips away the performative dimensions of the dancers’ personalities to reveal traits that glimpse how dancers interact with each other; not just as peers on stage but as ordinary human beings. 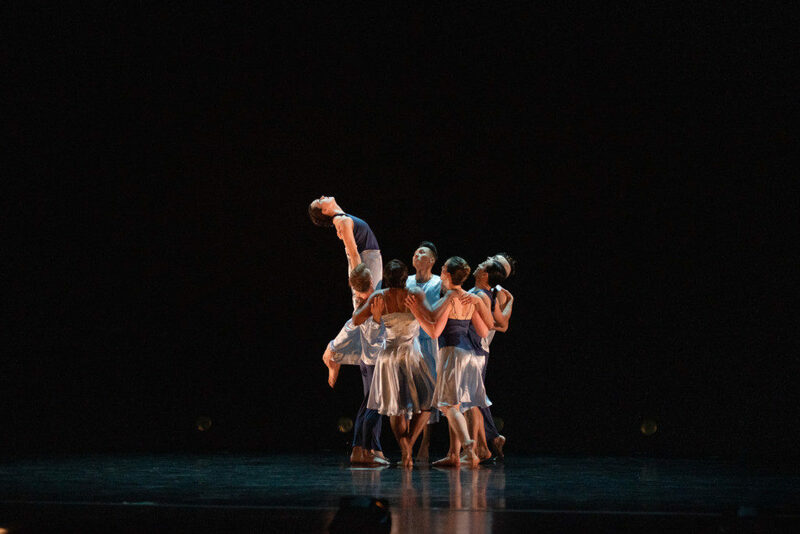 Gordon’s text references an abstract event involving six people (note that two dancers from the eight-member ensemble are temporarily ejected from the group right at the beginning but they return moments later). It recounts a classic sociological phenomenon about how details of an event are shared and how they change as they are handed down from one person to another. Details do not matter as much as the ways in which we communicate and the people whom we follow, imitate and aspire to, especially in deciding who might be the most important or authoritative to heed or listen to for learning about the event. The most fascinating elements were how Miller exploited the dancers’ natural spatial relationships in movement (particularly how they overlap as well as separate from one another) and the choreography generated plenty of surprises along the way. The dancers amplified these moments with superb eye contact and gestures. 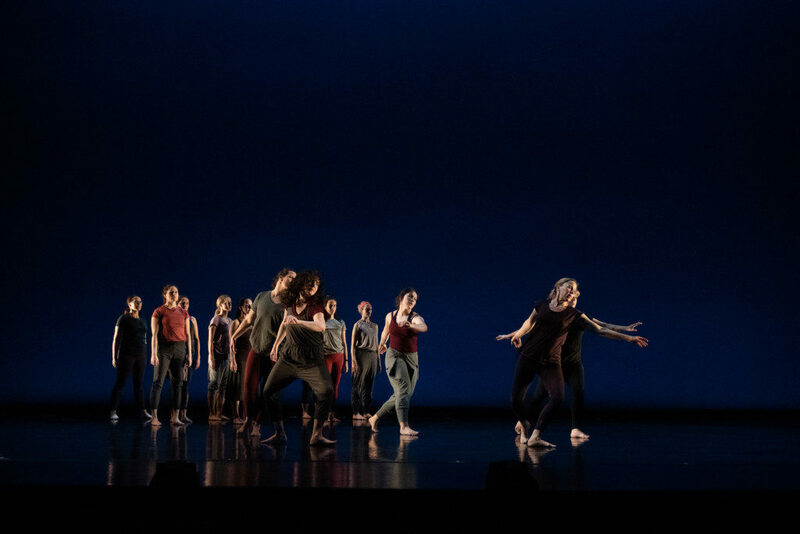 Taking a different path in her world premiere, Bryn Cohn set I Give Myself to deepen the audience’s observation of the emotional connections and personality traits among the eight dancers. Cohn’s work was inspired in part by the series of photographs that also became graphite and charcoal drawings for the artist Robert Longo, captured famously in Men in Cities. Thus, some of the choreography emulates the gestures and movements shown in Longo’s work – the sensations of flailing, collapsing and free falling as well as jerky, agitated movements. Yes, we sometimes feel hopeless or isolated, afraid (or even ashamed) to expose our vulnerabilities to others, whom we assume probably are better than us in coping with the pressures of contemporary society. However, Cohn magnifies the energetic optimism, which the dancers embody in the latter part of the work. She sculpts an ensemble that abandons any restrictions in closeness, as they mutually discover a common freedom in movement and interaction. Appropriately, much of the music had a spot-on ironic punk element, thanks to three compositions by Michael Hall, a Salt Lake City DJ, a member of the Salt Lake Electric Ensemble and music producer with the website soundFORMovement.com. Two of those pieces were originally titled Beginning and Hope. Bryn Cohn. I Give Myself. Repertory Dance Theatre, 2019. Photo Credit: Sharon Kain. Expanding the character traits in the dancers came with the closing composition titled Theatre, a 2016 work Danielle Agami created but which she restaged last month when she came to Salt Lake City to perform her solo work Framed. In recent years, the company has delved into the Gaga movement language, a specialty developed prominently by many Israeli-born choreographers. Agami, an Israeli native who directs the ate9 dance company that she founded in Los Angeles, has adapted the intense physical demands of Gaga movement as an effective story-telling device for dance. The company previously has performed a thrilling example of Gaga movement with Noa Zuk’s Snake (2014). In its restaged form, Theatre sizzled and dazzled, as the dancers relished Agami’s new take on the work. In the intervening three years, one senses how both choreographer and the ensemble have matured to make the latest interaction ever more meaningful and confident. The ‘theatrical team’ wore athletic-style costumes with numbers on the back. Gaga is not a choreographic style but it reorients the dancers to push themselves to new levels of stamina and physical possibilities all while truly enjoying themselves. Theatre bubbled with clear portrayals of the characters who happen to be RDT dancers. Virtually all of the movement is familiar to us, as dancers mimic routine gestures or perhaps a minor awkward mishap such as bumping unexpectedly into an invisible barrier. However, Agami also elucidates a theatrical flair that heightens each dancer’s aesthetic identity. The closing shot frames each dancer as a statue might freeze a distinctive pose for memory but the composition only is complete with all eight performers present, who have tapped freely into the inner joys of dancing regardless of the relentless demands upon their physical bodies. Indeed, at the end, the dancers looked immensely pleased and at ease — a reward to be enjoyed by performer and audience. 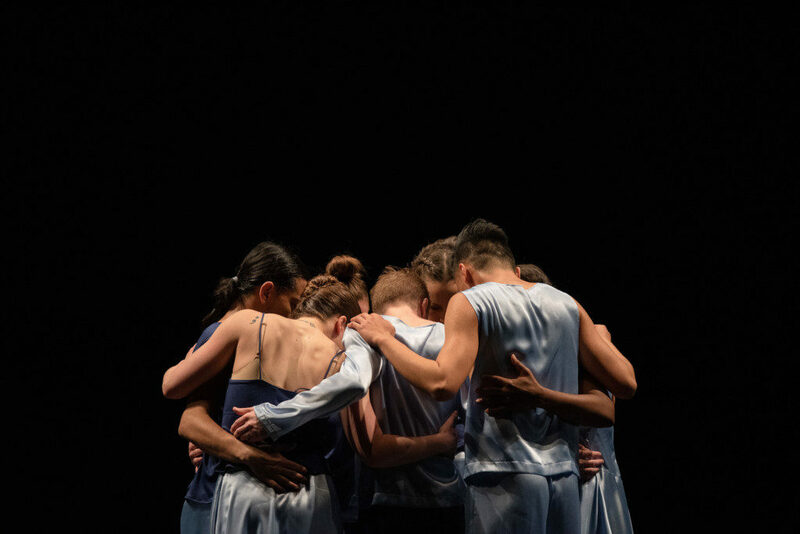 Prior to Theatre, a group of 13 dance teachers appeared in an absolutely charming choreographic love letter to their spirit and mission, as set by Nicholas Cendese, RDT’s artistic associate. 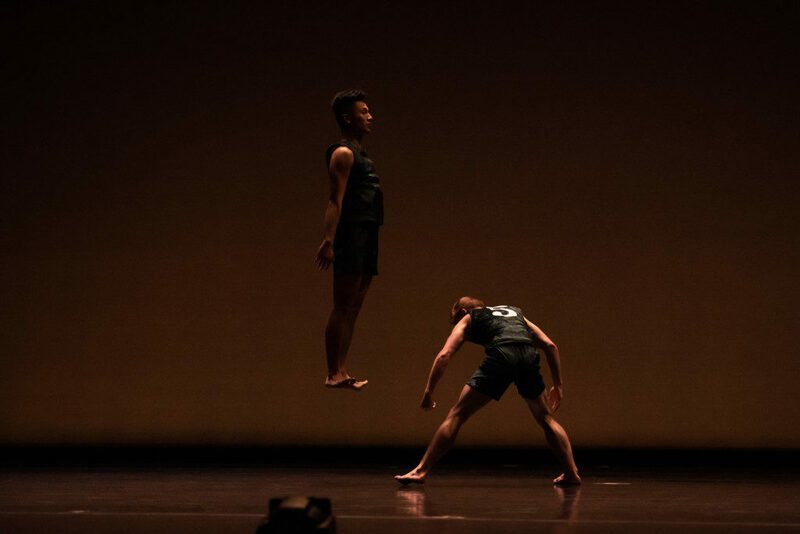 The work — titled fittingly Voices — testified to the gratitude and the fortune of having so many educational opportunities in Utah, a state that stands out in the country for cultivating an expansive legacy in dance education and culture. Its gentle, undisturbed tone was an effective contrast to other works on the program but it also conveyed the persistent elegant subtle epiphany of knowing that one never should feel alone in building community. Few performing arts companies (two others of recent note locally: Plan-B Theatre and NOVA Chamber Music Series) take the mission of diversity and inclusion as earnestly as RDT. 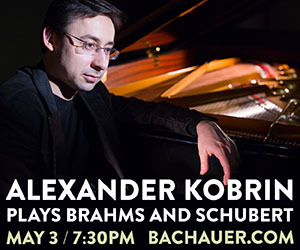 It consistently impresses with its ability to blend historically significant masterpieces from its repertoire with new works that deftly illustrate their own connections to a unique heritage in the performing arts canon. Voices was a tremendous closer to a momentous season with a timely message of humanism. This also was the final regular season performance for Efren Corado, which put a special exclamation mark of emotion on this concert experience. 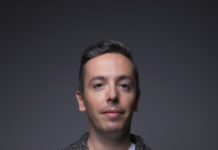 Corado will present his own choreography in Dust. Breath. Place., based on his childhood experiences as a Guatemalan immigrant inLos Angeles. Three performances are scheduled, as part of the RDT Link Series, daily at 7:30 p.m., May 2-4, in the Rose Wagner Center for Performing Arts. For ticket information, see here.